When I was young, Saturday morning was all about cartoons and cereal. I still watch cartoons, but they’re the kind that air late at night and seem to go better with a beer or soju than a bowl of milk and Cheerios. 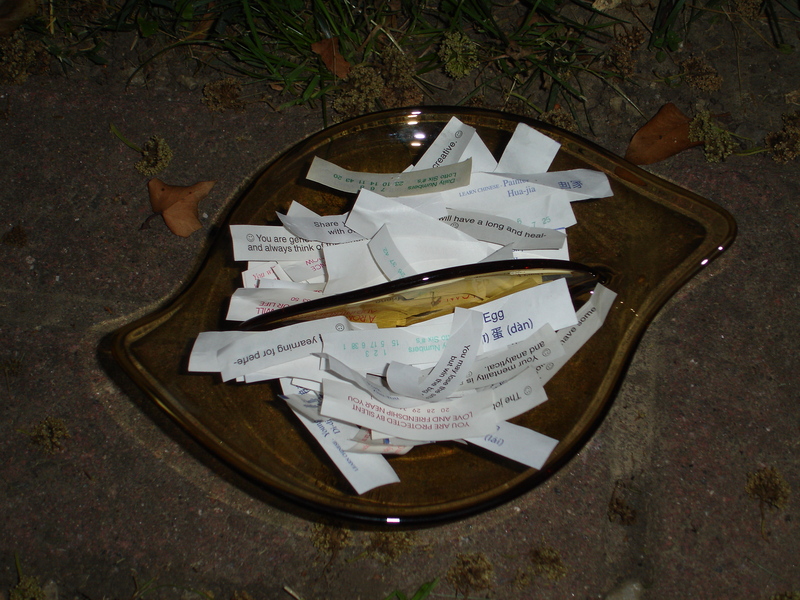 This Saturday morning, however, I managed to keep the bowl in the mix as I drew the next fortune from my cache of paper slip wisdom. I find this fortune to be timely with the summer vacation season upon us. But the way I read it, there could be a couple of interpretations. 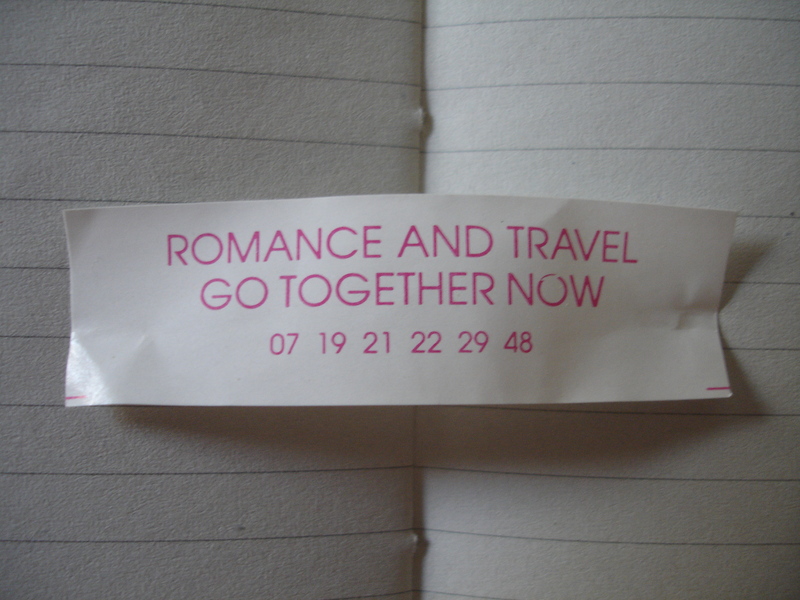 Perhaps I’ll encounter romance in my travels if I hustle to pack my bags and split ASAP. Could the message be to find someone I wouldn’t mind having a fling with, talk them into hitting the highway, seas or air with me and we’ll find ourselves drunk with the freedom that comes from living untethered and succumb to our feelings that have been dormant for so long? Or maybe I’ll just drive to Memphis, drink whiskey sours on Beale Street until I stumble into a Harlequin convention downtown wearing fake plastic breasts I bought at A. Schwab. I’ve been thinking of taking a trip to Wigwam Village. Maybe now’s the time. Cave City, Kentucky has a certain, unique romantic quality with its Mad Max meets Deliverance meets Route 66 charm. If there’s anybody that wants to join me, we can book separate wigwams and see how it goes.